What Happens When The Appraisal Comes Back Lower Than My Offered Price On My Corona Home Purchase? When an appraisal comes back lower than a home buyers offered price, there are several courses of action that a home buyer can take with their Real Estate Agents help. The first step is to thoroughly review the written appraisal. There are occasions where there are errors in the appraisal and these items may need to be addressed. 1. The buyer may decided to continue with the purchase despite the lower appraised value so long as they have enough of a down payment that would make this feasible with their loan. 2. The buyer may request a reduction in the sales price based upon the homes appraised value. The seller has the right to agree or not agree to this request. 3. 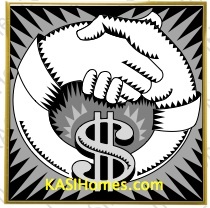 So long as the buyer has not released their appraisal contingency, if the seller does not agree to reduce the sales price based on the appraised value, then the buyer may decide to cancel the contract to purchase the home. Once a buyer’s decision has been made as to how they want to deal with an appraisal issue, then its is time to contact the seller’s agent. Quite frequently appraisal issues are worked out and everyone gets what they want. The buyer gets a new home at a fair price and the seller gets to move on. While these issues can cause one’s heart to pound profusely when they occur, an experienced Corona Real Estate Agent can help you maneuver through this not so uncommon issue. Best of luck!